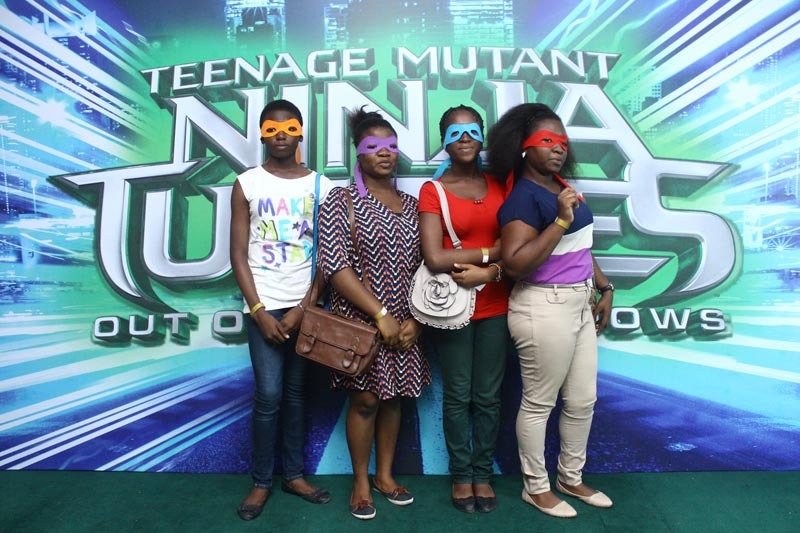 … As Teenage Mutant Ninja Turtles 2 Premieres In Lagos. 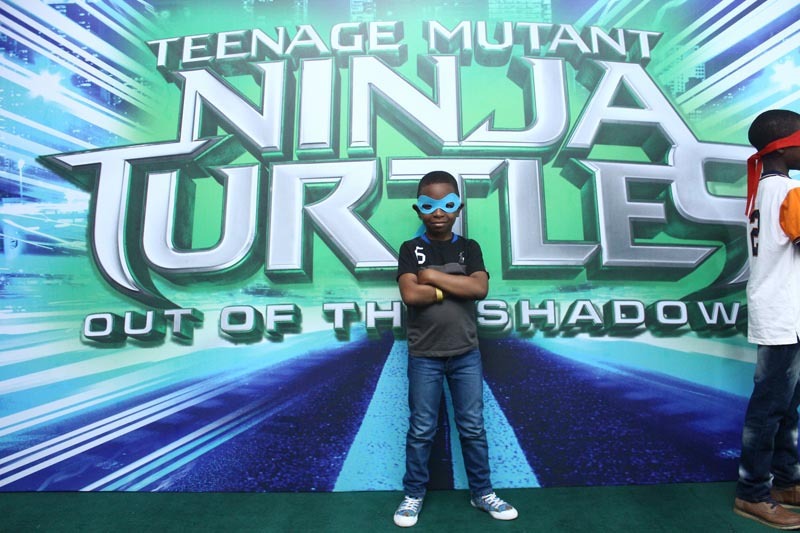 Lovers of popular kids & family brand, Nickelodeon, filled the Genesis Deluxe Cinemas, at The Palms Mall last weekend for the official premiere of Teenage Mutant Ninja Turtles: Out of The Shadows. The event, which was supported by DStv, was highly attended by notable celebrities like Julius Agwu and wife, Chocolate City’s Koker, Award winning Nollywood actor, Blossom Chukwujekwu, child star, Ozzy Bosco, popular songstress, Temi Dollface, Phoenix, Olohi Osakioduwa, among many others. 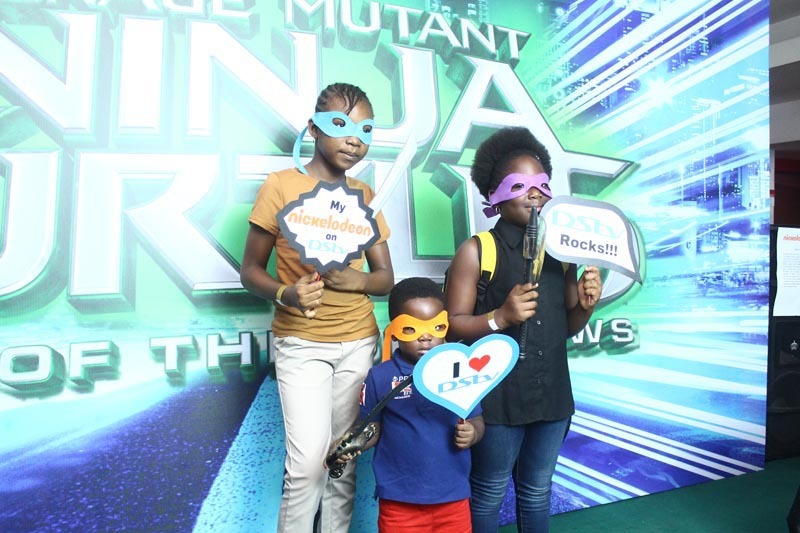 The premiere was also packed with lots of excited kids who came out to see their favourite Nickelodeon characters on the big screen and engage in fun activities including face painting, TMNT art station, Ninja training and a photo booth. 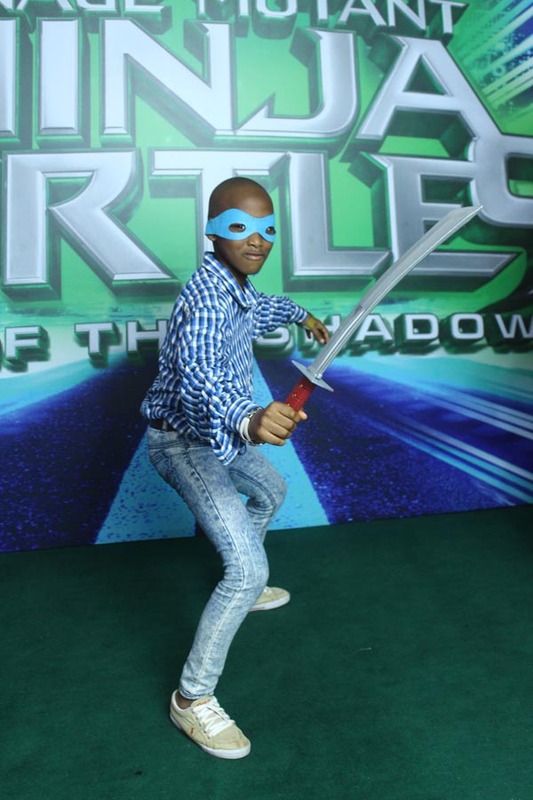 The Teenage Mutant Ninja Turtles: Out of the Shadows, which is now available in cinemas across Nigeria, is the sequel to the 2014 record-smashingTeenage Mutant Ninja Turtles movie. The science-fiction action comedy showcases the turtles – Leonardo, Raphael, Michelangelo, and Donatello who go on an exciting adventure with friends, April, Vern and vigilante, Casey Jones. Earlier in the year, Nickelodeon named founder of Bella Naija, Uche Pedro, as ‘’Favourite African Blogger’ through its Kids’ Choice Award platform. In 2015, Nickelodeon also premiered “The SpongeBob Movie: Sponge out of water” in Nigeria. To find out more about Nickelodeon Africa, visit www.nickelodeonafrica.com, follow us on Twitter @NickAfrica, on Instagram at Nickelodeon_Africa or like us on Facebook at NickelodeonAfrica. To join the conversation on social media, use the hashtags #TMNT2 #NICKMOVIES. Nickelodeon, now in its 36th year, is the number-one entertainment brand for kids. It has built a diverse, global business by putting kids first in everything it does. The company includes television programming and production in the United States and around the world, plus consumer products, online, recreation, books and feature films. Nickelodeon’s U.S. television network is seen in more than 90 million households and has been the number-one-rated basic cable network for 20 consecutive years. For more information or artwork, visit http://www.nickpress.co.Nickelodeon and all related titles, characters and logos are trademarks of Viacom Inc. (NASDAQ: VIA, VIAB).